A 21-year-old Indian man has undergone a successful operation to remove an iron rod that pierced through his skull. 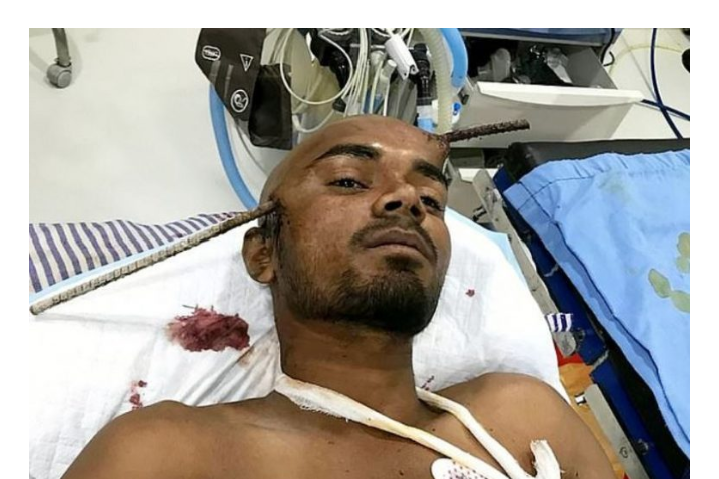 Sanjay Bahe was recorded calmly talking to medics with the iron rod sticking out of both sides of his head before it was safely removed. 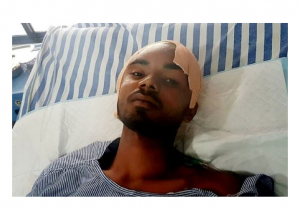 He was building a well at his family farm at Balaghat, Madhya Pradesh, when he fell onto the metal rods, with one piercing the right side of his skull, passing through his brain and coming out of the left side of his head.